This is the best difference between of OSI and TCP/IP model. 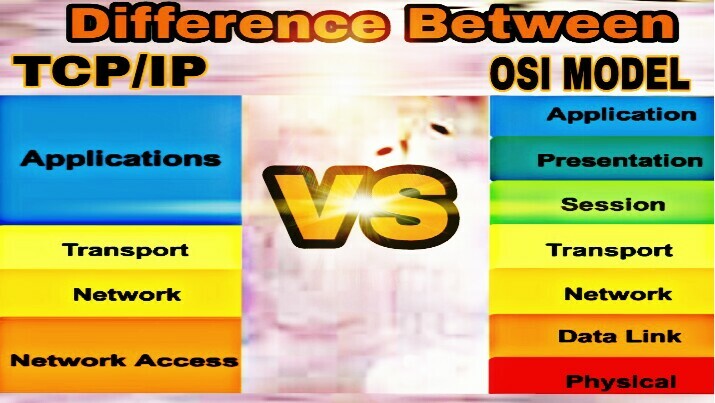 Everybody can understand this difference between because this difference between of OSI and TCP/IP model is very simple and easy method. 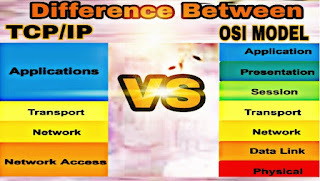 From this difference between you can understand what is the OSI and TCP/IP model and you can comfortably explain to anyone what is OSI and TCP/IP model and what is the difference between them. 1. OSI Model has 7 layer. 2. OSI model has separate session layer. 3. It has separate presentation layer. 4. Network layer provides both connection oriented. 5. It defines the service interface and protocol very clearly and make a clear distinction between them. 6. 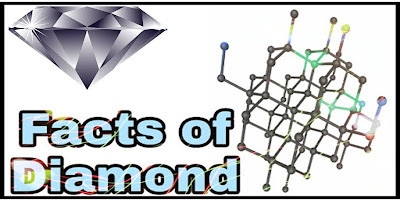 The protocols better hidden and can be easily replaced as the technology changes. 7. OSI is truly a General model it has a problem of protocol shooting into a model. 8. It has a problem of protocol fitting into a model. 9. Transport layer guaranteed delivery of packet. 10. It is horizontal approach. 1. TCP/IP model has 4 layer. 2. No session layer characteristics are provided by transport layer. 3. No presentation layer characteristics are provided by application layer. 4. Network layer provides only connectionless service. 5. It does not clearly difference between service interface and protocol. 7. TCP/IP cannot be used for any other application layer. 8. The model does not fit any other stack. 9. Transport layer does not guarantee delivery of packet. 10. It is vertical approach.